Free Shipping Included! Atlantic Universal Adjustable Heavy duty Table Top TV Stand / Base Mount up to 70'' - Black by Atlantic at Home Entertainment Centers Online. MPN: 63607232. Hurry! Limited time offer. Offer valid only while supplies last. Lost your original TV stand when you bought that snazzy wall mount? the table top TV stand is the ideal TV stand solution for your flat panel TV. 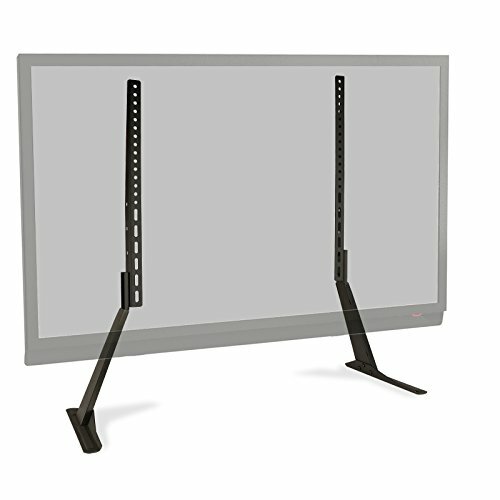 Height adjustable and holds up to a 70 inch TV and up to 132 lbs.